Ben Franklin Transit offers a General Demand service, which is a way for you to reserve transportation in advance, with travel between designated stops outside of the regular bus routes and the nearest BFT intercity stop or transit center. BFT provides this service to people in Prosser and Benton City, and in Finley. BFT is now expanding our services to offer the same General Demand service to our riders throughout the Tri-Cities. Phone reservations required at least one day or up to seven days in advance. Reservations for Monday must be made before 5:00 p.m. on the previous Friday. 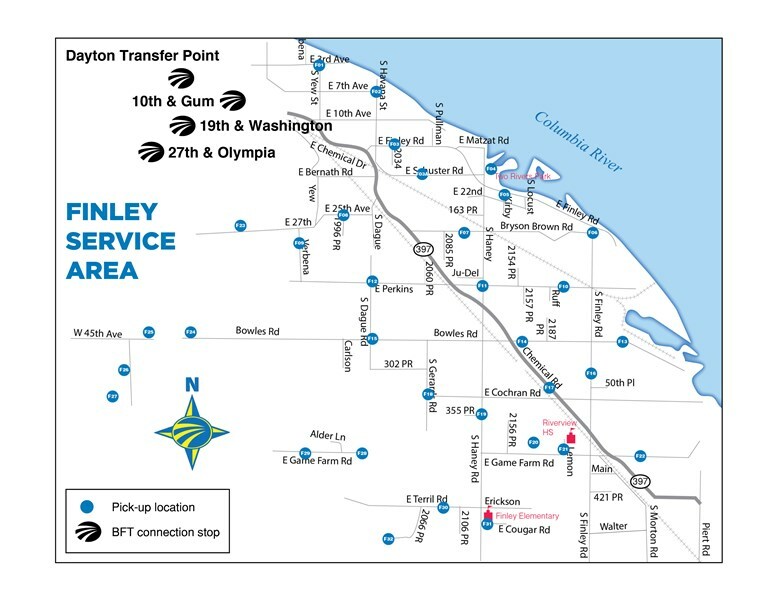 On January 2, 2019, BFT began offering a General Demand service in Finley at designated locations that connect you to the BFT bus system. This new service is operated by BFT, with our drivers and vehicles. Bus Routes 150 and 160 can be accessed from Finley. See a list of Designated stops in Finley (PDF). FARES: Single trip: $1.00 (+ bus fare or Monthly pass, if needed), or Freedom Pass. Intercity bus Route 170 can be accessed from Prosser and Benton City. It will take you to and from the Knight Street Transit Center in Richland. See the list of Designated stops in Prosser/Benton City (PDF). For more information, see our page for Prosser/Benton City. FARES: Single trip: $1.50, or Freedom Pass. On February 4, 2019, BFT began offering a General Demand service at designated locations throughout the Tri-Cities that connect you to the BFT bus system. This new service is operated by BFT, with our drivers and vehicles. 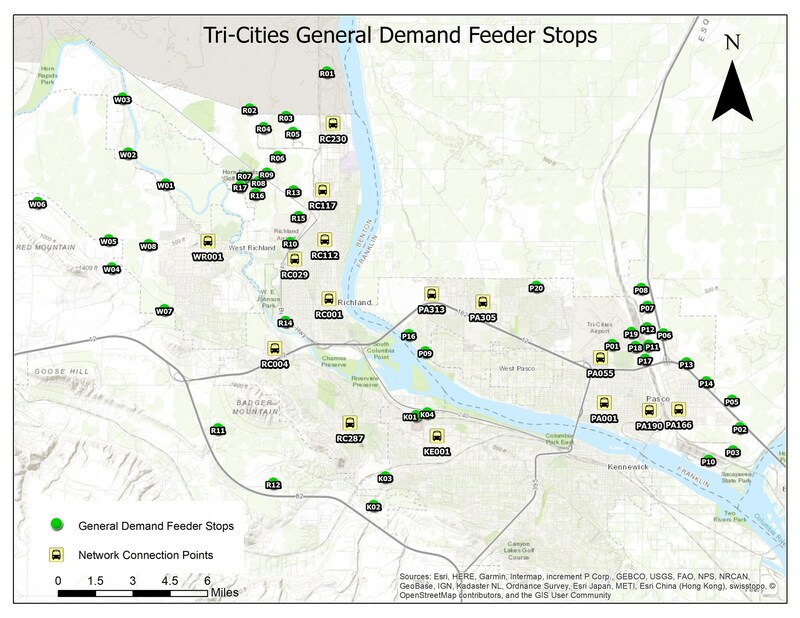 See a list of Designated stops in the Tri-Cities (PDF) and Maps of stops in the Tri-Cities (PDF). FARES: Single trip: $1.00 or $3.00 for premium (+ bus fare or Monthly pass, if needed), or Freedom Pass.